I wanted to start a thread / folder dedicated to just Mens ring thanks to Ali and Andrey for their blessing . There are so many beautiful mens pieces why not make a folder just for the guys all in one place? so if you have pics of your ring or your hubby''s ring, please do share, with specs possibly. MrsKBP and RevBruce like this. tapio and Gigisdiamonds like this. "7mm and 5mm rings I did out of Palladium and sterling"
tapio, teslagirl1234 and Sallyjane like this. tapio and chieftd like this. I will post more info on the "tech" side soon. 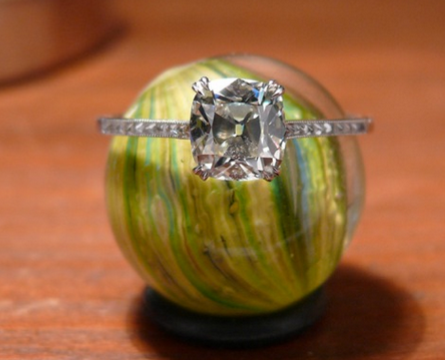 I think it looks great for a guy''s ring. it actually pulls of the .24 carat diamond better than i thought it would, it doesn''t look overly large. It will eventually be swapped out for the EightStar that is in the same or smaller size range...if one ever exists!" Ring posted by jennalyns. black and grey titanium.